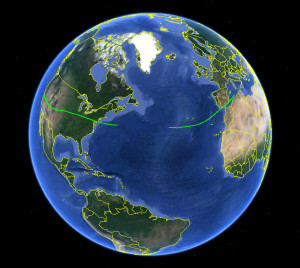 The California Near Space Project is best known for its record-breaking flights across the Atlantic Ocean. CNSP has launched two balloons, which traveled from the West Coast of the United States to Africa and Europe. CNSP is able to successfully complete these missions, because it has established and refined specific techniques for accurately filling Latex balloons. We will continue to refine this technology and technique and continue to push the limits of duration, distance, and altitude. Our missions have also been featured in mainstream press on many occasions.